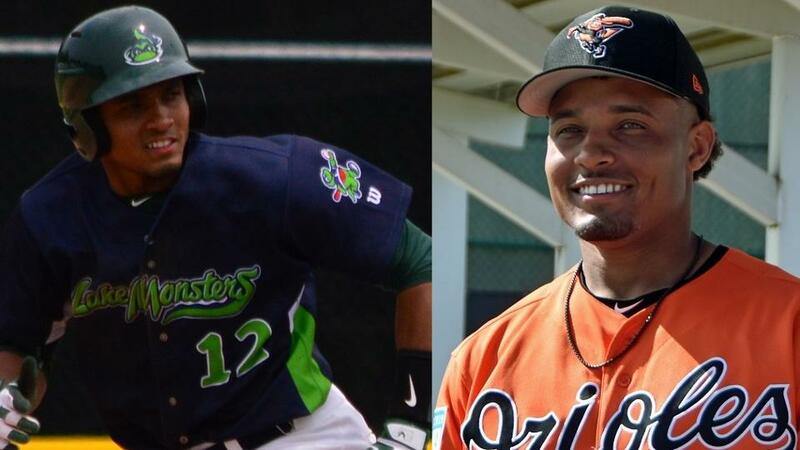 BURLINGTON, VT --- The 2019 Major League Baseball season begins with 19 former Vermont Lake Monsters on MLB Opening Day rosters, including 2015 Vermont infielder Richie Martin, who will become the 105th Major League Monster all-time when he makes his MLB debut with the Baltimore Orioles. Martin hit .237 (45-for-190) with 31 runs, six doubles, two homers and 16 RBI in 51 games for Vermont after being selected in the first-round of the 2015 draft by the Athletics. After playing with Oakland's Double-A Midland RockHounds during the 2018 season, Martin was taken by Baltimore in the December Rule 5 draft (must be on Orioles roster for 2019 season or offered back to the Athletics). Along with being the 105th former Lake Monster to reach the Major Leagues, Martin is also the first from the 2015 Vermont team and the 24th to play for the Lake Monsters since Vermont became the New York-Penn League affiliate of the Athletics back in 2011. Six of the 19 current Major League Monsters began the season with Oakland last week in their opener in Japan vs. Seattle. The six include pitchers Ryan Buchter, Ryan Dull, Marco Estrada (12th MLB season) and Lou Trivino, along with infielders Chad Pinder and Matt Olson (currently on IL after being injured during the Japan season-opening series). Beginning their 11th Major League seasons are Ian Desmond (Colorado) and Jordan Zimmermann (Detroit), while Craig Stammen (San Diego) and Brad Peacock (Houston) start their 10th and 8th years respectively. Rounding out the former Lake Monsters in the Majors are Robbie Ray (Arizona), Matt Grace (Washington), Ryon Healy (Seattle), Daniel Robertson (Tampa Bay), David Freitas (Seattle), Dylan Covey (Chicago White Sox), Billy McKinney (Toronto) and Yairo Munoz (St. Louis).